These disgusting creatures are trying to invade your lands, but they're no match for a brave knight like yourself. Stay alert and put your battle skills to test. Obliterate them all before they get you! Enjoy this sequel! Join this RPG where you'll have to visit the dungeons looking for gold. Defeat your enemies and collect the treasures you come across! In this liltte RPG you'll be able to customize your Vulping by spending the stat points you'll get after battles. Enjoy your new virtual pet. 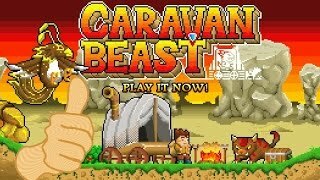 Start your big adventure as a beast tamer! Travel from the little woods to the desert, visit the dark regions and face other tamers you find in your way. Defeat the four great masters and get the tamer medal!